Pieces for the textile artwork are beginning to come in and we are looking forward to receiving lots more. 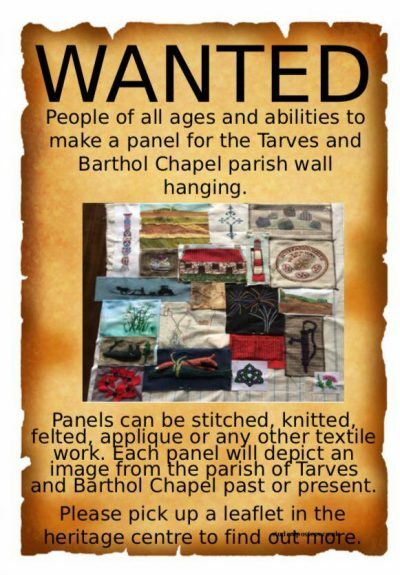 There is a meeting at the Tarves Heritage Centre tonight, Monday 14th August from 7 pm. Come along if you can even for a short time with your work.